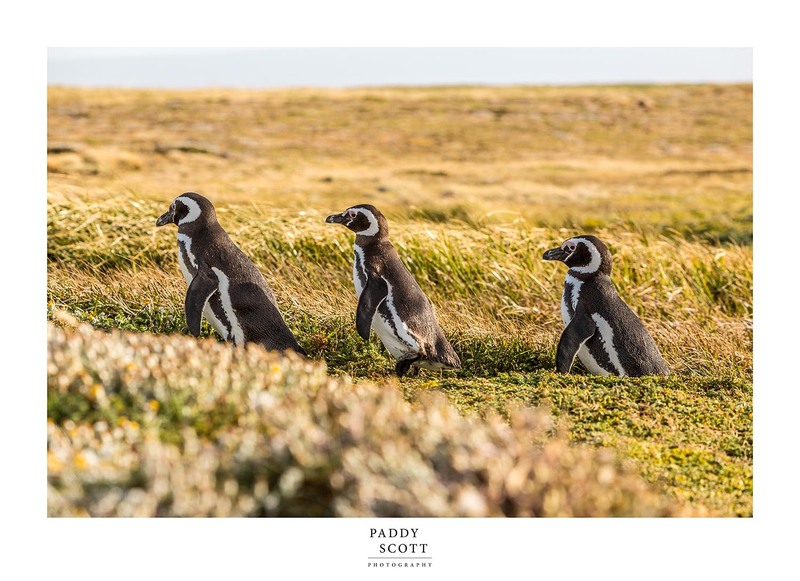 These Magellanic penguins are residents on the coast near Punta Arenas. I could watch them all day, socialising with each other on the beach and heading out to swim every so often. In the evening they all start heading back to their burrows, which are set back slightly from the beach. These three are on their way back to their burrows just before sunset.